In a small village in the middle of France you’ll find thousands of people travelling around, especially on sundays, people from all over the world (even though most are germans). They are all going to the same place, to the smallest, cutest village you’ll find, and they are all going to a monastery for one week, and then they’re going home. Just like that. There is no nice resturant, there is no bar for drinking loads of alcohol on their vacation and there isn’t even a pool for bathing during the really hot summer weather. There aren’t even real nice and big beds??? Instead people eat beans and rice, drink a super sweet tea and just stay in the church during the warmest hours of the day, or they’re off on Bible studies. If you’re lucky you get to sleep in a room with six others, and with loads of spiders. If you don’t like spiders I recommend bringing your own tent. I get loads of questions about Taizé, and no one really gets why I would like to go to a monastery a week once a week, where you’re not really connected to the rest of the world and you go to the Church three times a day (even though I usually skip the morning prayer, but don’t tell brother Matthew) and the food you get is just what is. There isn’t really any choices, so you just eat and thank God that at least you got some food. 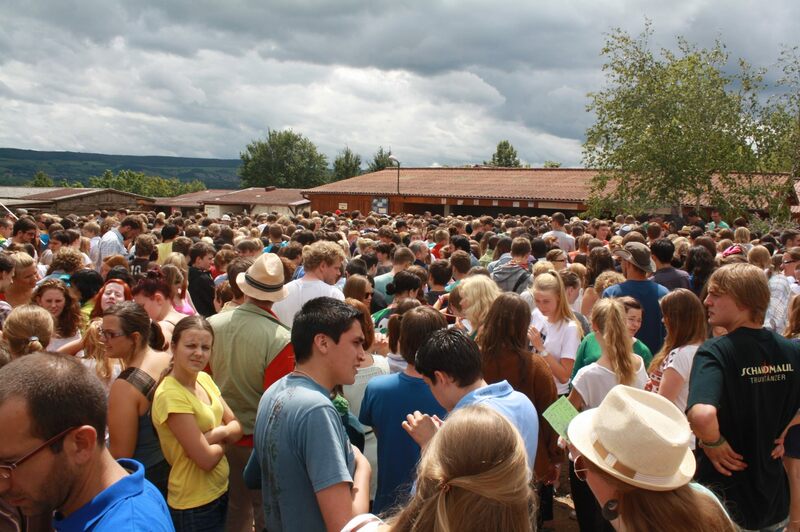 This is the picture of the food line, a couple of years ago. Even though over 3000 people get food every week during summer times, it usually goes by for only 20 minutes, sometimes even less. And if you’re sneaky you can get past it for under 5 minutes, but don’t tell anyone else, it won’t work if everyone does this…. 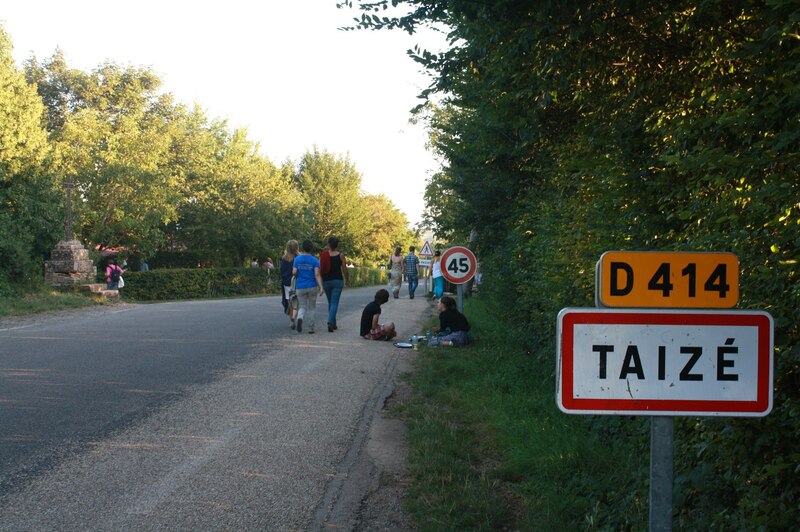 Taizé the community is a, well, a community. Over 100 brothers lives there and welcome thousands of young people from all over the world. Most stay just for one week, some stay for two and some stay for over a year. There are three prayers during the day that everyone should take part of (ssh), and the prayers aren’t really anything complicated. It’s just one or two lines in different languages repeated over and over again, with a melody. This is my favorite one: Cantarei ao Senhor, enquanto viver; louvarei o meu Deus enquanto existir. Nele encontro a minha alegria. Nele encontro a minha alegria. Read more: usual workplaces, how to become a Taizé pro and what is really a Bible Study Group?